We will hear about the TAG teaching artist pay calculator and results from our survey about teaching artist pay and employment structures. This meeting will continue conversations begun at a policy roundtable meeting on October 6, continued at "That Teaching Artists Life..." on October 25, and will continue at "Strengthening the Arts Education Ecosystem" on December 11. 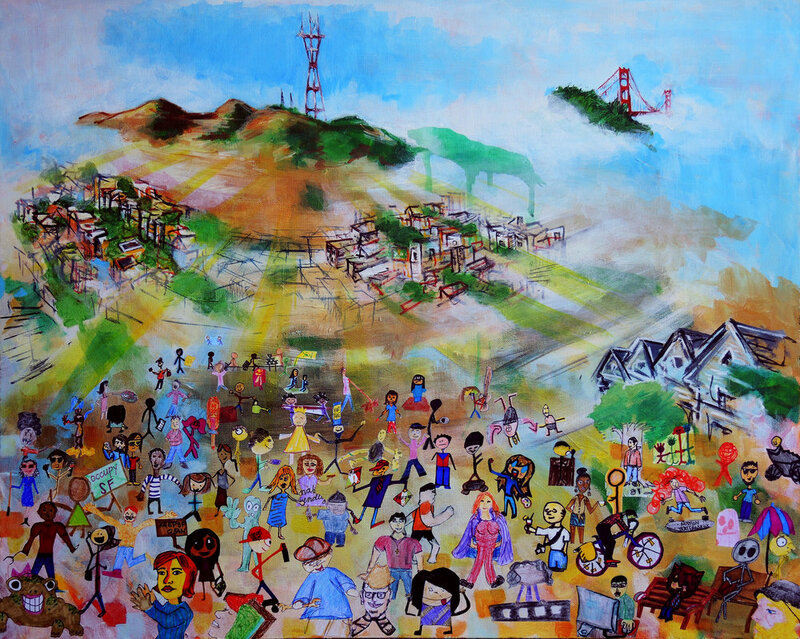 Awesomeness in San Francisco, mixed media and acrylic on canvas, Todd Berman et al.